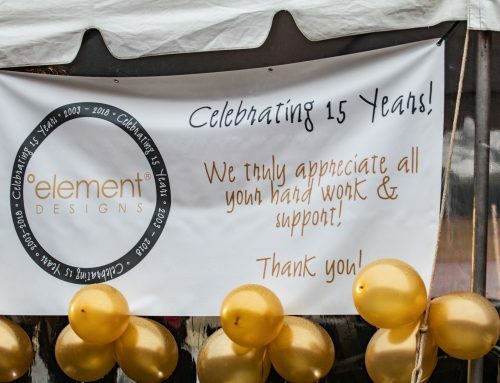 Element Designs is excited to announce the launch of a new shelving program that leverages our unmatched expertise in aluminum and glass fabrication in manufacturing the finest selection of shelving products on the market. The line of contemporary shelving systems designed for the modern home and commercial interiors is our first new comprehensive product release in over ten years, and organically complements our aluminum frame doors, base systems, decorative hardware, and backpainted glass products. 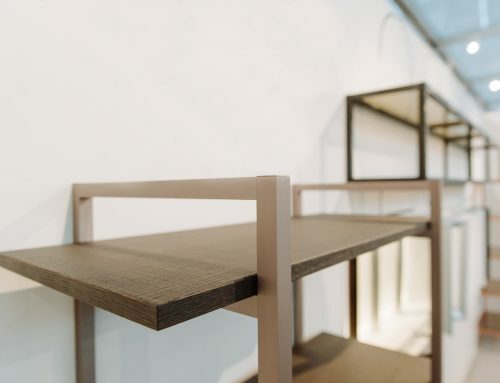 Featuring an array of stylish offerings that include our elegant °e Shelving and °eCubed (°e3) designs, our shelving program delivers a ready-to-install solution for residential and commercial spaces. 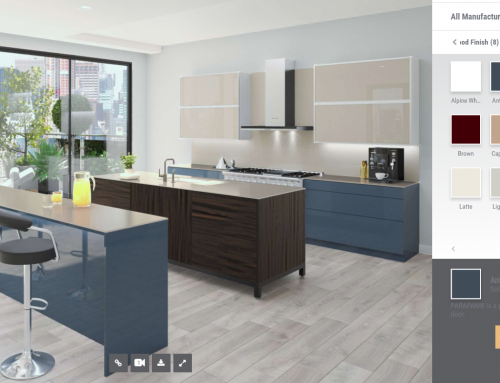 We’ve designed our latest shelving line to align with the increasingly popular trend of integrating open shelving into kitchens, closets, living spaces, and commercial interiors. Shelving products provide both form and function. They can add design interest and beauty to walls and cabinetry by creating a spot to place books, picture frames, decorative items, and collectibles, while also housing utilitarian items like jars and bottles. Creatively designed shelving can be a work-of-art unto itself, drawing the eye and adding an artistic element to a room. Shelves also help maximize storage space, which make them ideal for smaller areas with limited real estate. 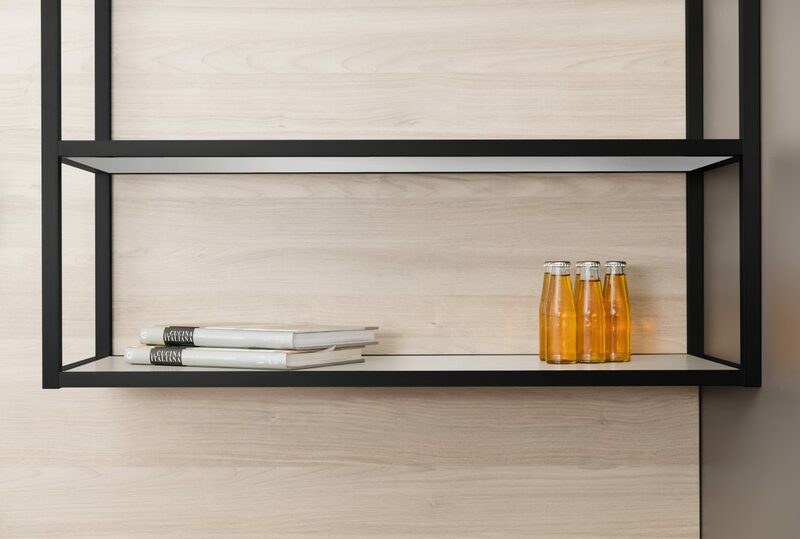 The °e Shelving system is a profile in elegance. 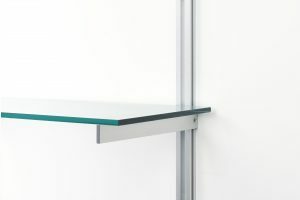 Featuring clean modern lines, these components are ideally suited for residential applications such as closets, living areas, and home offices. They’re also perfect for commercial spaces like retail showrooms, restaurant dining rooms, workplace environments, and educational spaces. The utility patented units are easy to install, fully adjustable, and mounted using robust aluminum components. 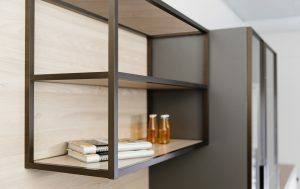 Unlike similar shelving systems, the standards and brackets have an attractive, modern appearance that begs to be exposed. Their sturdy design accommodates any shelving material, including our backpainted glass shelving, aluminum frame shelving and °eluma LED shelving and features an extremely high load capacity. The shelves can be outfitted with standard or custom parts and come in a variety of contemporary finishes. 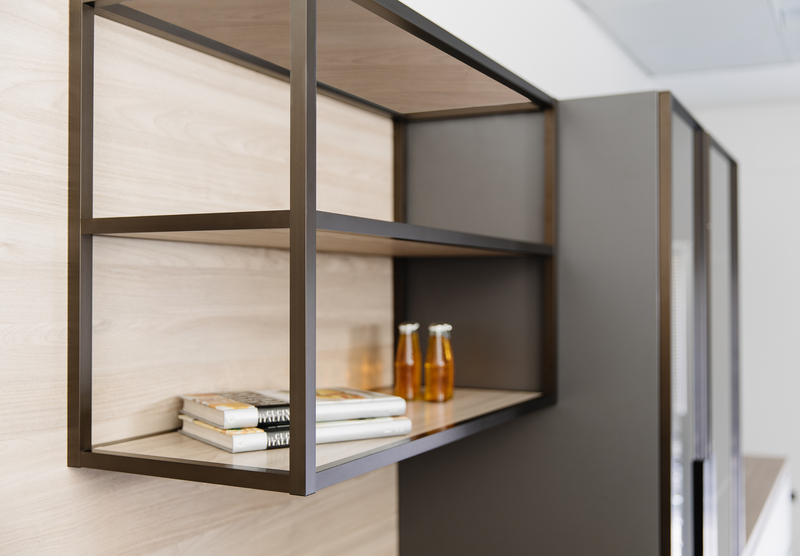 Our °eCubed (°e3) Shelving features a head-turning modern design and on-trend open wall shelving. 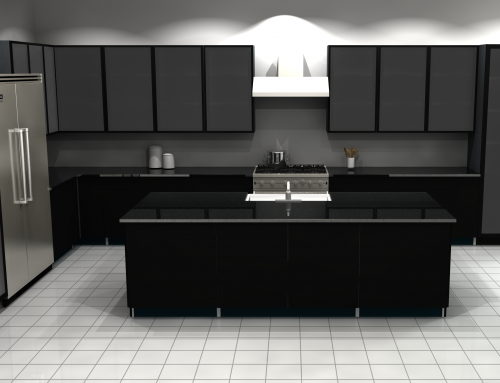 The line includes cabinetry inserts, island bases, and shelving units that add decoration and enhance the storage capacity of any space. 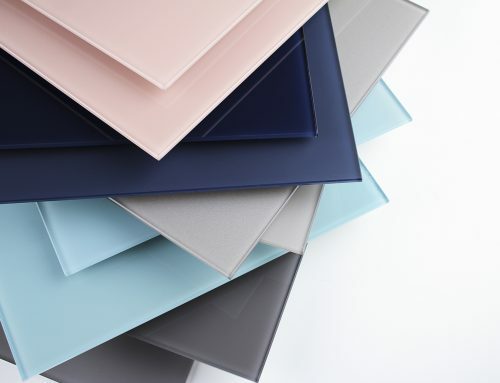 Customers can select from a wide range of transparent and backpainted shelving inserts (or provide their own inserts) and a full gallery of eye-catching finishes. Available in standard or custom configurations, these products are fabricated and assembled in the U.S., with no minimum orders and fast lead times. Element Designs is North America’s leader in custom aluminum frame glass doors, and we’re thrilled to offer our new shelving program that includes °eShelving and °eCubed (°e3) Shelving to our customers. Featuring anodized aluminum components and crisp angles, the ready-to-install solution blends style and substance to elevate the ambiance of any space. We also offer several types of glass shelving units that add sophistication and refinement while providing for everyday storage needs. Click to view our full catalog of shelving products.